Today municipalities large and small have found that motivating people to live responsibly with wildlife takes a combination of education, outreach and practical solutions to the biggest problems, like handling trash. All backed up by legislation that gives officials the tools they need to insure change. 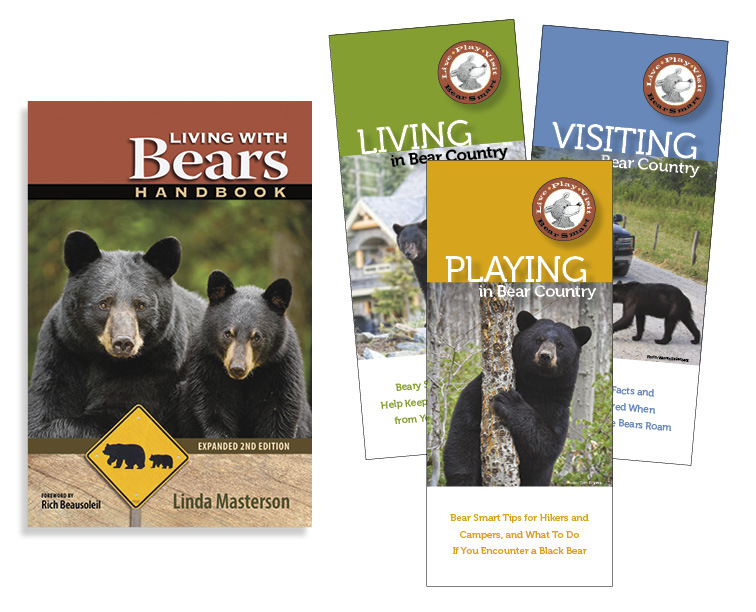 "Living With Bears Handbook is a must-read for urban wildlife specialists, community leaders and homeowners looking to protect their property from ursine neighbors. Masterson uses wit and a wealth of wisdom to convince readers that most human/bear conflicts come when a bear's unending search for food is easily satisfied when humans unknowingly serve it up on a silver platter in easily accessible garbage cans, bird feeders, camp coolers, orchards and gardens." Now available: Bear Smart Pocket Guides that can be customized with your name, contact information and logo. 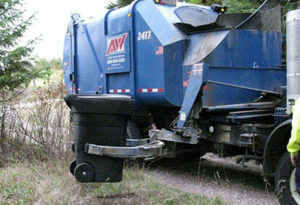 Working with the sanitation department and private trash haulers is also vital to success. Many real-life examples are highlighted in the book, including Boulder, Colorado, the Kootenai and Flathead Indian Reservation in Montana, Great Smoky Mountains National Park, Hurlburt Air Force Base, Canmore, Alberta, Canada and the Town of Whistler, British Columbia.